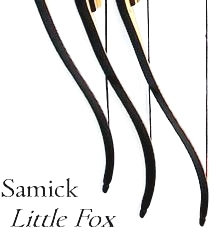 Patterned after the darker appearance of the adult sized Sage, the compact Little Fox is directly comparable (and compatible) with the junior Polaris bows. The riser is a durable laminate of woods, making it a bit heftier than their Polaris counterparts. The limb tips are also reinforced, allowing for Fast Flight string compatibility, unlike the Polaris. The 48" and 54" Little Fox share limbs, while the 54" and 58" models share risers. As a result, all of the parts are cross-compatible. 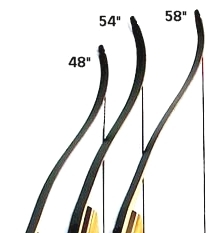 The 48" and 54" models will support up to a 24" to 25" draw, and the 58" model will support a 26" to 27" draw. 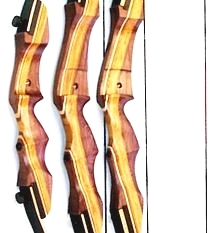 These bows are excellent beginner bows for young archers that have a strong interest in archery. Although they are Little Fox-sized, they are built as well as their adult counterparts. While the 48” Little Fox uses a tool-less bolt, the 54” and 58” include standard bolt & Allen key. Comes with full shelf and string set-up preparation and ready to shoot right out of the box.